5.0" TFT display, Snapdragon S4 Pro chipset, 13 MP primary camera, 2 MP front camera, 2370 mAh battery, 16 GB storage, 2 GB RAM, Shatter proof glass. 4.0" Super AMOLED display, Snapdragon S4 Plus chipset, 5 MP primary camera, 1.2 MP front camera, 2100 mAh battery, 8 GB storage, 1 GB RAM. 4.3" IPS LCD display, Snapdragon S4 Pro chipset, 13 MP primary camera, 1 MP front camera, 1800 mAh battery, 32 GB storage, 2 GB RAM, Corning Gorilla Glass. 10.1" TFT display, 5 MP primary camera, 2 MP front camera, 64 GB storage. 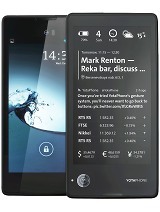 4.0" TFT display, 5 MP primary camera, 1730 mAh battery, 4 GB storage, 512 MB RAM. 5.0" Super LCD3 display, Snapdragon 600 chipset, 8 MP primary camera, 2.1 MP front camera, 2020 mAh battery, 16 GB storage, 2 GB RAM, Corning Gorilla Glass 2. 10.1" display, Exynos 4412 Quad chipset, 5 MP primary camera, 1.9 MP front camera, 7000 mAh battery, 64 GB storage, 2 GB RAM. 4.5" IPS LCD display, Snapdragon S4 Plus chipset, 12.6 MP primary camera, 1 MP front camera, 1780 mAh battery, 8 GB storage, 1 GB RAM, Corning Gorilla Glass. 4.0" TFT display, 5 MP primary camera, 1.3 MP front camera, 2100 mAh battery, 4 GB storage, 1 GB RAM. 4.0" Super AMOLED display, Snapdragon S4 Plus chipset, 5 MP primary camera, 1.3 MP front camera, 1800 mAh battery, 8 GB storage, 1 GB RAM. 5.0" Super LCD3 display, Snapdragon S4 Pro chipset, 8 MP primary camera, 2.1 MP front camera, 2020 mAh battery, 16 GB storage, 2 GB RAM, Corning Gorilla Glass 2. 4.3" Super LCD2 display, 5 MP primary camera, 1.6 MP front camera, 1800 mAh battery, 8 GB storage, 1 GB RAM, Corning Gorilla Glass 2. 4.3" Super LCD2 display, Snapdragon S4 Plus chipset, 5 MP primary camera, 1.6 MP front camera, 1800 mAh battery, 8 GB storage, 1 GB RAM, Corning Gorilla Glass 2. 4.3" S-LCD2 display, 8 MP primary camera, 2.1 MP front camera, 1800 mAh battery, 16 GB storage, 1 GB RAM, Corning Gorilla Glass 2. 4.3" Super AMOLED Advanced display, 8 MP primary camera, 2000 mAh battery, 8 GB storage, 1 GB RAM, Corning Gorilla Glass. 4.65" Super AMOLED display, TI OMAP 4470 chipset, 8 MP primary camera, 1.9 MP front camera, 2100 mAh battery, 16 GB storage, 1 GB RAM. 4.7" Super IPS+ LCD display, Snapdragon S4 Pro chipset, 13 MP primary camera, 1.2 MP front camera, 2140 mAh battery, 64 GB storage, 2 GB RAM, Corning Gorilla Glass. 4.55" TFT display, Snapdragon S4 Plus chipset, 13 MP primary camera, 1.3 MP front camera, 1850 mAh battery, 16 GB storage, 1 GB RAM, Shatter proof glass. 4.3" AMOLED display, Snapdragon S4 Plus chipset, 8 MP primary camera, 1.2 MP front camera, 1800 mAh battery, 16 GB storage, 1 GB RAM, Corning Gorilla Glass 2. 4.7" True HD-IPS LCD display, Snapdragon S4 Plus chipset, 8 MP primary camera, 1.3 MP front camera, 2150 mAh battery, 16 GB storage, 1 GB RAM.